The time has come to finally address the elephant in the room, or something I have been meaning to address here on the Merch Informer blog! Shipping and fulfillment (and sizing)! This is the not the first time that the Content Policy has changed and it certainly will not be the last. That 30 days is about to come to a close. If you read the first update on 6/8, it mentions that they are no longer going to accept references to print and specifically says we are not allowed to put in “printed to be fitted”. If you are like me, this is going to cause a BIG PROBLEM! Seeing as every listing I have ever put up on Merch by Amazon had this saying in the bullet points, I had a LOT of editing to do. It actually took me about 3 weeks to go through everything and trust me, that was NOT a fun process. 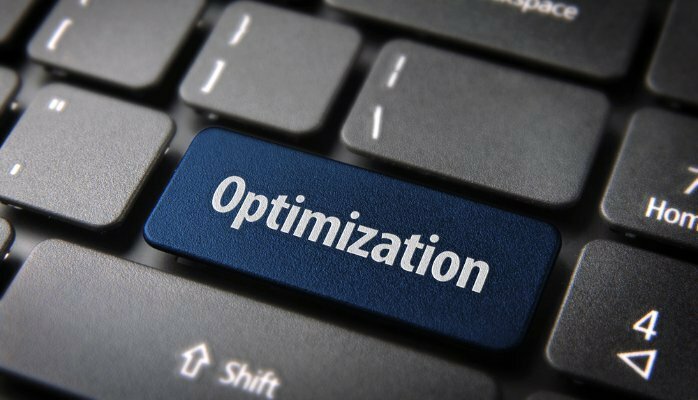 This is why we partnered up to create a simple chrome extension that is going to save you time, headache and frustration during this entire process. 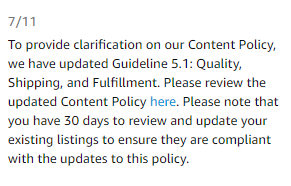 It will also help you stay compliant with the Merch by Amazon Terms of Service with the 30 day deadline soon approaching. Check out Merch Checker HERE. This little extension is worth EVERY. SINGLE. PENNY. It is going to save you (or in the case of me) weeks worth of time and headache for $7. It will make sure you are not going to miss any bullet points that say anything that might get you in trouble. Here are all the keywords it automatically checks for currently. The first step is to download and install the extension. 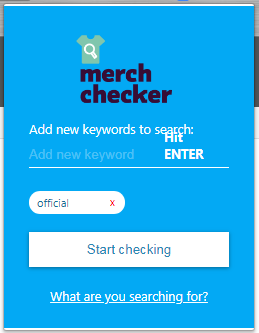 Click Here To Install The Merch Checker Extension. The second step is to simply grab a license key. You can do this on the gumroad page. Enter your new license key on the line and click on the white button to license the app. 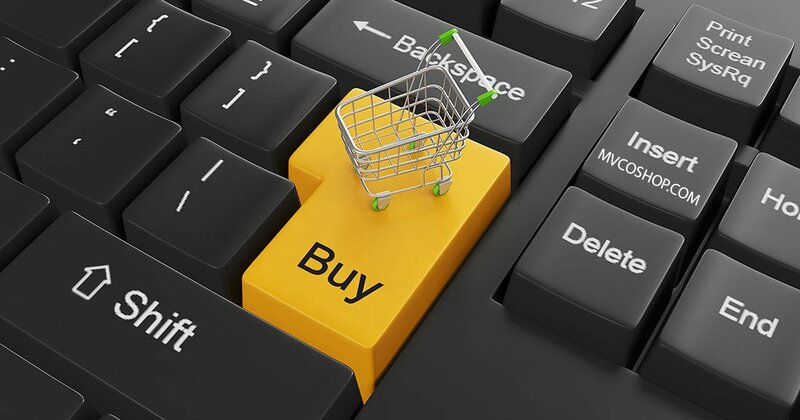 On this step, you will want to go to your Merch by Amazon dashboard, and click on the “Manage tab”. 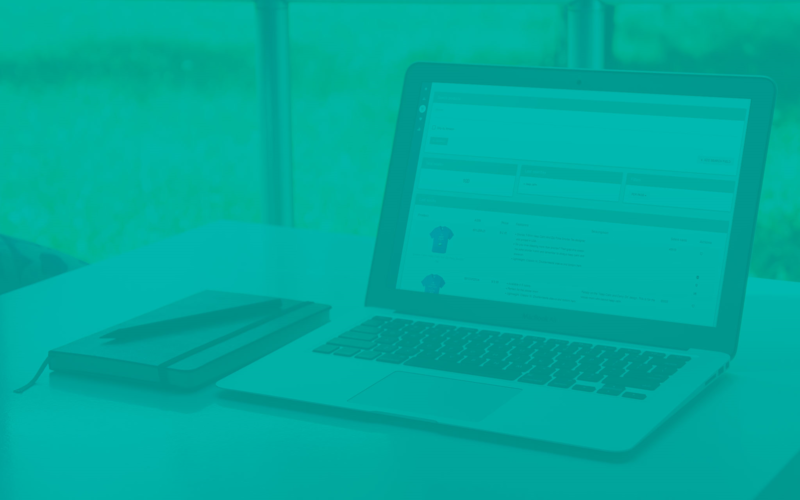 Now that you are on the manage tab and you are displaying 100 live shirts at a time, click on the Merch Checker icon in the top right of your Chrome browser. 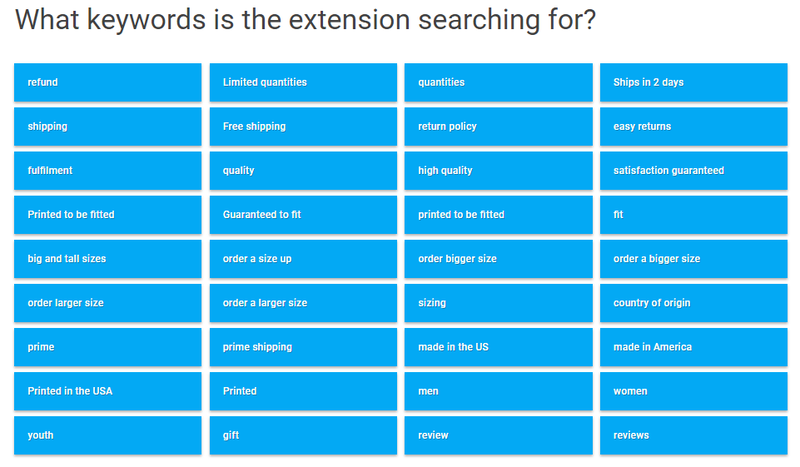 This will bring up the extension and let you enter different keywords. As you can see in this example, I put in “official” as a keyword for it to check. You can keep adding to this list if there is anything else you want to check. Remember, it will automatically check for the keywords listed above in the blue box. 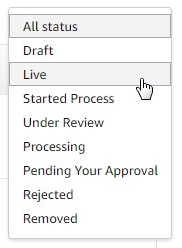 Once you are ready, click on the “Start Checking” white box. Once you click that box, you may notice that nothing on the screen changes. Click on that button, and watch the magic happen. Below each shirt it will show you any of the trigger words that the extension automatically searches for as WELL AS the words/phrases that you enter into the extension from the beginning. NOTE: Gift will be removed from the list soon. As you can see, this picked up the words “official” in one of my shirts, and lets me know what product the words are in. This way I can easily go through all my listings, and edit the ones that I need to instead of opening tens of thousands of tabs and reading all the bullets myself! When it comes down to it, this is probably going to be the most productive $7 you will spend in this business. I went and edited all my listings one at a time and it took me many many hours because I had to actually read through all my bullets and descriptions. This will do that for you! If you have any questions or comments, make sure to drop them below! Whoa Whoa Whoa… Are they SERIOUSLY going to nuke shirts that have the word “gift” in the bullets or title? That’s like 80%+ of shirts out there right now. I can’t believe that one! I can buy all the other stuff but “gift”??? Do you suspect that “gift” will be one that we shouldn’t use in the future? I see you added a note about it being removed from the list. Up until now, I have been on the fence about “Men” and “Women.” Are they definitely something we shouldn’t be using, or are we just playing it safe with those two? Any chance you will update this to work “on the fly” while typing out our listings for those of us with addictive personalities who may attempt to add this stuff purely out of habit? Also, how about allowing us to add our own words that we come across that we may forget that won’t be accepted ie. maternity, etc? Turn it into a large database of forbidden keywords. That already got removed. This was added because they saw it mentioned in the Merch forums that someone might have had an issue with it. I personally use Gift in almost all my listings so no worries there. As for the men and women, I suspect Amazon is smart enough to know what the design is for (seeing as how people click what gender the shirt is for when listing). This is more a case of playing it safe for the future. As for something “on the fly” check out the extension Merch Security which will do what you are looking for. You can add your own words to both, but this extension is mainly to look through listings that are already live and help you get compliant before Amazon comes down on everyone. Merch Checker team here: those several words (gift, men, women) were kinda in the grey area and initially we decided to add them to be on the safe side, but after talking with Neil and Todor, we came to a conclusion that they are alright to use. Click on the extension once you have Merch by Amazon open. Any way you can have the extension search our Titles? That could be useful later on. Also, if we find out something has been trademarked, we can easily find it by adding it as a keyword to search and it would pick it up in both titles and description and bullet points. I just bought and used it. Went through my entire inventory in about 10 minutes. TOTALLY worth it. Found 3 shirts that had slipped by my previous inspection. One of them is a best seller too! Don’t know how it happened but tools like this make life so much better. Thanks again for another AWESOME addition! Just to be clear this list the words is a guess of what Amazon is looking for? This is just a compiled list of words that may trigger a rejection. Is the words Men, Women a problem? Like “Pug Mom Shirt For Women”? It should be fine, but was included in the original version as just a heads up. Any chance those of us paying for Merch Informer could get a discount or even free like the Merch Informer Products Designer? This is not part of Merch Informer so unfortunately no. Can this also be used to save the listings to a CSV or DOC file? This would be great for reuploads! Please fix the Chrome extension to accept license keys. Currently from the upper right of the installed extension, we can only be re-directed back to the chome extension in the store. Not the blue box as pictured above with field for the license key. Click on the icon once you have the manage page open on Merch by Amazon. Sorry, but men and women, gift its ok to use. This tool will save a lot of time. I bought it and added it via Chrome store, then opened Merch, but when I click the icon I only get a Chrome menu (options, remove, hide, etc) None of these options open up a GUI, nor has my Merch interface changed, even after restarting Chrome. Open the manage page on MBA, then click the extension. Just to clarify, you feel that including the line “perfect for man, women and kids” in bullet points will trigger a rejection? have to go to manage page in Merch first… then you have to notice the greyed out key line… if you click add key then it will remove the extension and you will have to start again installing fresh. the field where to put in the license key doesn’t appear in my version. 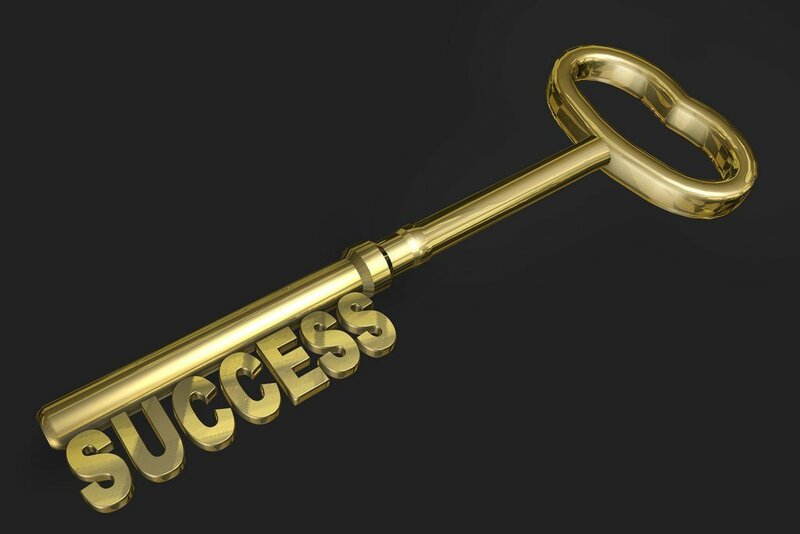 Do you know any place where to put in the license key? I read the support questions in the extension store – many people cannot find where to put the license from gumroad. Go to the manage page in MBA, and then click on the extension. Are you saying gift will be removed from merch checker when ordering it? I just used it and it didn’t flag gift in any of my designs which is probably in every one which leads to my next question. Is using the word gift restricted too? It was removed in an update. Gift is fine to use. Does this only work for the first 10,000 listings in the dashboard? I already went through thousands of designs and deleted “order one size up for a comfortable fit”. Apparently I still missed a few. 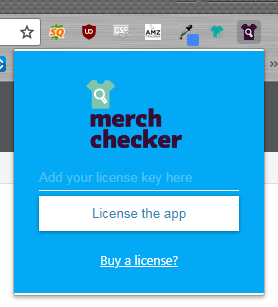 I got Merch Checker today and it helped me quickly find 15 designs or so that I missed. It was worth it and very helpful. Thanks. Saved my life, thanks for this – just gone through all my listings in under 30 minutes. When I’d been checking manually, it had taken hours and I hadn’t even checked 100 listings yet! It would be great if we could add our own keywords! So Neil, in your opinion, do you think that the phrase “perfect gift for men, women and kids” will be a trigger for rejection? No it will not. I think it is a waste of keyword space though. 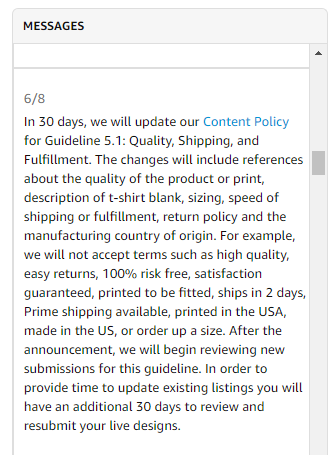 I know the 6/8 message claimed that there would be certain policy changes coming (I was worried about phrases like “order up a size for a looser fit… “) but now that the policy has been updated, I don’t see anything about sizing in 5.1 is it just me?? I see no need to edit any of my listings. What exactly was changed on 7/11?? It was changed, and then changed back. I believe they probably uploaded an old template when they added UK/DE language. is there a way to open the edit page on new tab? Yes, the Merch Tools extension will do this. Brilliant, I thought for sure my listings were all clean, but this checker found 4 I needed to edit. Whew, thanks guys. The article says the extension is $7, but on the gumroad page it’s shown as $6.99/mo. Is that the same extension? It’s a recurring charge? Does Amazon provide a list of all words that are forbidden? They do not, but a lot of these are not allowed at all and will get you a violation. Can this extension be used without MerchInformer? He Neil, wasn’t it you, in your earlier teachings that advised us all to put something in our bulletin points along the lines of ‘these T shirts are designed to be a close fit, for a looser fit please order a size up’ ?? It was. I had it straight from MBA that it was okay a year ago. Things change! I want to buy the extension but my problem is that its asking for a debit card when im trying to pay with paypal, witch i dont have. It is all run through Gumroad so anything they accept should work. Is “official” OK to use? Just ran Merch Checker on my listings and it did NOT flag “official”. Were you just using this word as an example, or do you expect “official” to be rejected soon? Also, I bought the 6 mo. subscription. Will you keep adding new words / phrases you know to be rejected over the coming days / months. I added official as I know that it gets flagged when doing uploads to go into a manual review. You can add your own phrases to the tool. If the shirts that have official as part of the design, then it should be okay. These are getting flagged on upload because they do not want anyone infringing on a brand partner. Is the word “official” not allowed? Or, was that just used as an example of how specific words you enter can be flagged? I used it as an example. Thank you so much for this tool Neil! The Merch Checker is a life saver for procrastinators like me! I ordered Merch Checker. Used it after entering the license key. Worked great. Now I am trying to use it again and it needs me to enter the license key again. For the life of me I cannot find that key or remember how I got it the first time. Can you tell me how to find it? Everything is run through Gumroad so they should have emailed you that key. Well, apparently they did email it. Or someone probably did. Like I said I used it one time and now I need to use it again. I thought Merch Checker was your product. I just need to know how to get that key again. I have already subscribed and used it once. I don’t know what Gumroad is. Please help me get in touch with the person that can help me get the key.